Thursday — Hot dog on a bun, Boston baked beans, sweet potato tots, assorted fruit or juice. Friday — Homemade juice, assorted fruit. Friday — Big Daddy pizza slice or turkey sandwich, tossed salad with dressing, steamed broccoli, assorted fruit. While we comb the boroughs for good meals, we're always on the lookout for cheap eats, and we round up five of those sub-$10 meals for you here each week. This week's line-up includes wontons and dumplings, hot dogs, and a pair of Middle Eastern restaurants in different parts of Manhattan. Thursday: Pizza, steamed broccoli, mixed lettuce salad, fruit, brownie/bar. Friday: Shrimp poppers, french fries, green beans, fruit, whole grain bread stick. Mead Public Schools Monday: Hot dog, baked beans, potato wedge, peaches, graham crackers. 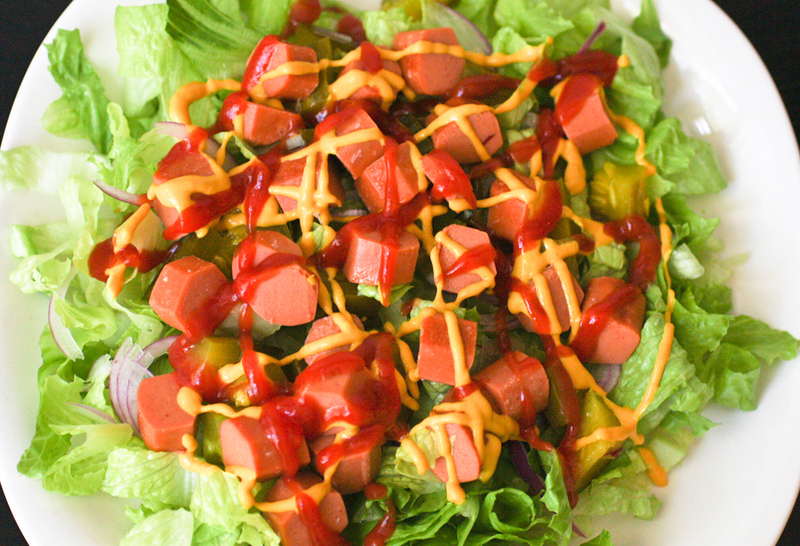 fun summer salad that kids (and adults) love!